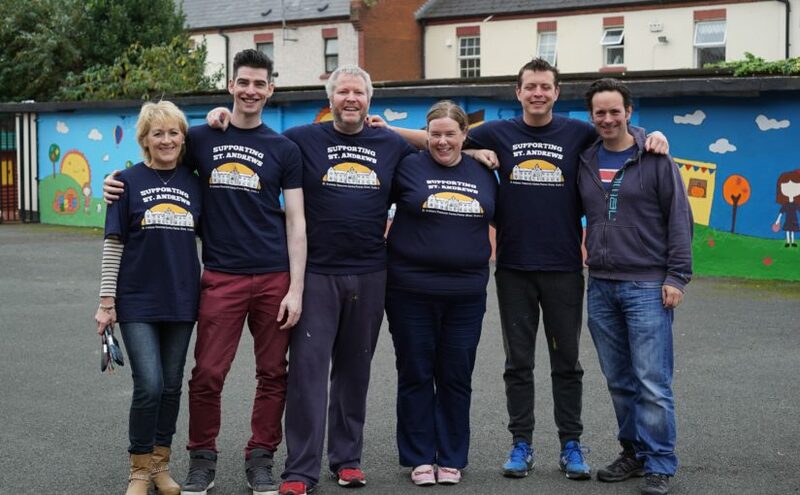 How does an Accountancy and advisory firm go about designing and painting a community mural? It turns out with a lot of planning, team effort and putting in the hours! Our staff chose St. Andrews Resource Centre on Pearse Street, Dublin 2 as the principal charity for our 2017 CSR programme. The centre provides invaluable support to those that need it most within the communities of Westland Row and City Quay. A range of fundraising and volunteering activities were planned, which included repainting their existing mural. This comprised of 5 walls totaling over 86ft x 7ft. So with the help of our of our in-house trainee designer Sayonara Bittencourt and a team of over 30 staff volunteers we completed the mural over eight sessions and on schedule. Watch our video of the different stages of the project.